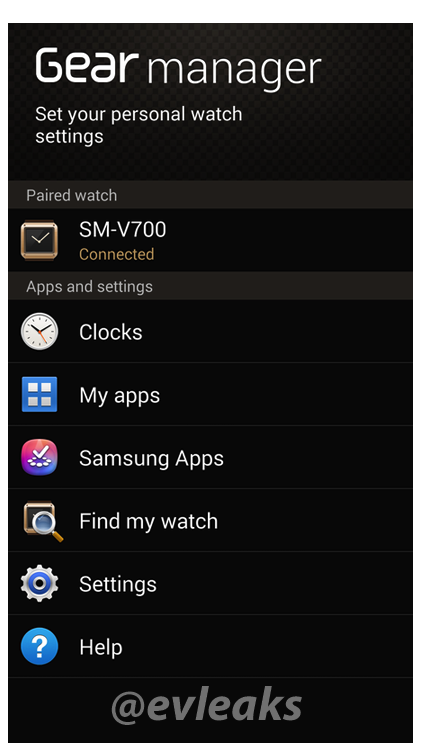 Pair of screenshots show off Galaxy Gear app loading using Android Beam along with the device's application manager. Samsung's Galaxy Gear smartwatch has already been confirmed for next Sunday, and we now have a better glimpse at how it might actually work. Thanks to a pair of leaked screenshots, it looks like apps will have to be loaded through a paired smartphone, with NFC a possible requirement. 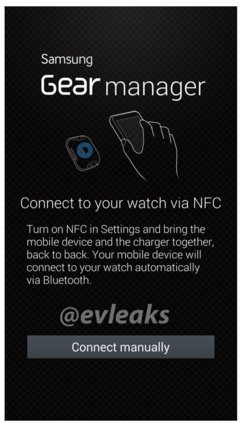 The pair of screenshots were posted on the Twitter feed of Evleaks, showing a tutorial for loading apps on the smartwatch along with the "Gear manager" where management of these apps takes place. 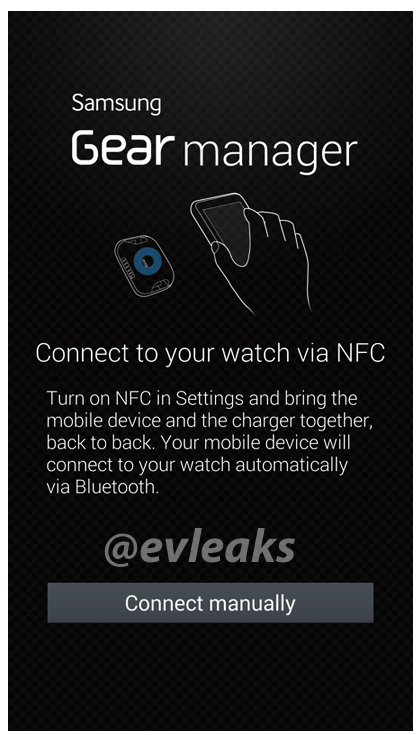 Based on the first image, the smartwatch is first paired with an NFC-equipped smartphone and data is transferred over Bluetooth. This functionality is basically that of Android Beam, which was last updated with Jelly Bean and bypasses the need for a cumbersome pairing process. As for the second screenshot, it shows the Gear's smartphone interface, where applications, settings and clock faces can be adjusted. Samsung's apps also have their own individual entry, and one can infer that these apps will help provide some sense of exclusivity for Samsung smartphones. We still have to wait a few days for Samsung's official release, but at least we now have some understanding of what they have in store.